In microscopy, vibrations can make time lapse imaging unusable and micromanipulation impossible. 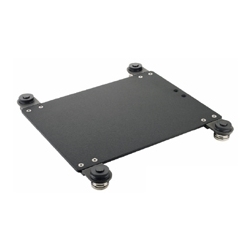 Vibration isolation platforms and vibration isolation tables are designed to stop vibrations from being transmitted to the microscope or other sensitive equipment, thus insuring a more stable platform for imaging, microsurgery and in-vitro fertilization. 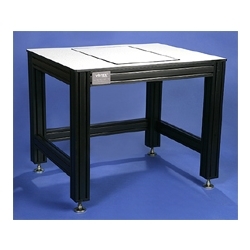 These vibration isolation tables and platforms use a passive mechanical design that does not need compressed air or hoses and requires no maintenance. The vibration isolation bearings eliminate low frequency effects in both the horizontal and vertical directions. Place the equipment away from obvious problem areas like elevator shafts, heating and cooling fans, and even vents. Put other equipment such as shakers, refrigerators, and incubators on a separate table away from the microscope. Put power supplies on a shelf or on the floor away from the equipment. Use the heaviest table available. Put a thin foam pad between the microscope and the table.